In his session Where the robots work, James Bridle led a provocative and inspiring talk about the role of robots in today’s society, and why he thinks we should make friends with them – sooner rather than later. The proposition at the heart of James’ talk was the idea that for centuries we’ve built our cities and towns around our needs, but as technologies have advanced, the design of the world around us has started to shift towards the needs of our inventions, such as automobiles, electricity, networks, data and robots. The question is, have we managed to keep people at the centre of our decision-making? 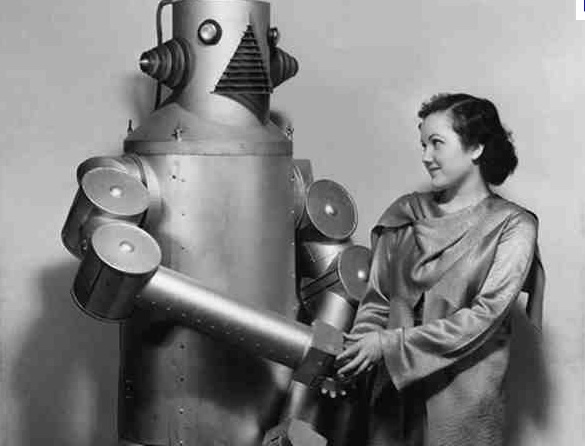 And do we really understand the implications of setting robots to work, behind closed doors. 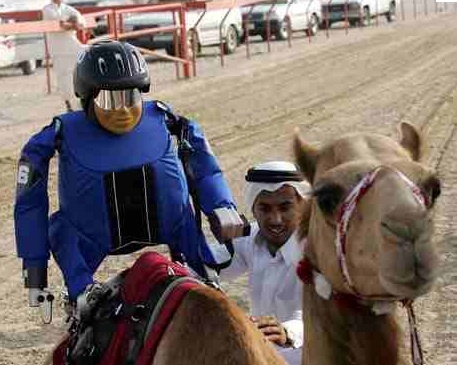 In 2005 the starting gun was fired for robotic jockeys in Qatar, as they set off on their very first camel race. Controlled by jockey operators from the sidelines, this premier fleet of robotic jockeys were instructed to pull their reins to change direction and whip their camels to go faster and win! Although this may sound and look quite ridiculous, the use of robots as camel jockeys represents an astonishing development in technology and human rights. The owners of racing camels in many regions of the Middle East have traditionally used children as jockeys because of their light weight; sometimes children as young as four years old. Faced with heightening pressure from human rights groups, Qatar outlawed the practice of child jockeys and looked to technology to keep their popular camel racing culture alive. The robotics firm K-Team in Switzerland came up with this ground-breaking solution and a new robot was born. Robot jockeys weigh-in at 57 pounds (26 kilograms) and cost about U.S. $5,500 each. Interestingly, since Qatar handed their camel racing reigns over to robotic jockeys, both the United Arab Emirates and Oman have followed suit. So, in the last decade, robots have helped to ensure the future of this entertaining passed-time, and helped to end the exploitation of children involved in this activity. Go robots! Right? Let me introduce you to another collection of robots highlighted by James in his talk. Made by Kiva Systems, when you order something from say, Amazon or Zappos, these little fella’s find and fetch your goods from the warehouse and help fulfill your order efficiently – saving you money. At the same time as helping us, Kiva robots have also revolutionised the size and shape of the modern day supply-chain and distribution network. How? Well, they enable e-commerce companies like Amazon, to handle more product at a lower cost. Here’s a reworked extract from Don’t drink and code that describes how these particular robots work in more detail. First up, they use stickers on the floor for navigation. They have two collision cameras in the front and back and are controlled by pathfinding maps. When a new warehouse is built, a person that works at Amazon (a humanoid?) creates a series of rules that enable the optimal distribution of products across the warehouse. This means that products are scattered across different stacks and shelves around the warehouse so they can be found by robots quickly, before and/or after another product. Organising products in this way is a total nightmare for a workforce of people. We work far more effectively when products are grouped into thematic sections such as books, electronic devices and CD’s. The problem is, walking from one end of a warehouse (the size of 10 football pitches) to the other takes time, and with their optimal pathfinding map, Kiva robots can locate products that are scattered around far more efficiently than we can locate ones that are logically grouped. Darn it! Unlike their camel jockey counterparts, Kiva robots are very much hidden from public view. Before James’ talk I had no idea that this bright orange workforce had even been invented, let alone set to work en mass at Amazon. On the face of it though, do we really need to worry that Kiva robots are beavering away out of sight? They’re not that pretty after all, and they are saving us money. Well, James argues that we probably should be a little bit concerned. After all, these robots have a huge impact on the nature of the ‘warehouse workforce’ not to mention consumer expectations (in terms of level of service and price of product) and the shape of the broader marketplace. Be honest, when was the last time that you went to buy something from your local music store or bookshop? If the previous example got you thinking, just wait until you hear about algorithmic trading. As James touched on in his talk, algorithmic trading is the use of robots for buying and selling stuff on the stock market, where the computer algorithm decides on aspects of the order such as the timing, price and quantity, and in many cases initiates an order without any human intervention whatsoever. Like Kiva robots, these programmes make trading decisions within a time frame that would be impossible for a human trader to achieve. Nor do they get tired or come into work with a hangover. Concerned yet? To provide some context, algorithmic trading is now widely used by pension fund and other investment traders to divide large trades into smaller ones in order to manage market impact and risk. In 2006, over 40% of all orders on the London Stock Exchange were entered by algorithmic traders, with around 60% predicted for 2007 at the time. American and European markets apparently have a higher proportion of algorithmic trades than other markets, and if estimates in 2006 were correct, in 2010 we’re looking at a proportion of algorithmic trades at around the 80% mark in some markets. References for these figures can be found on Wikipedia. 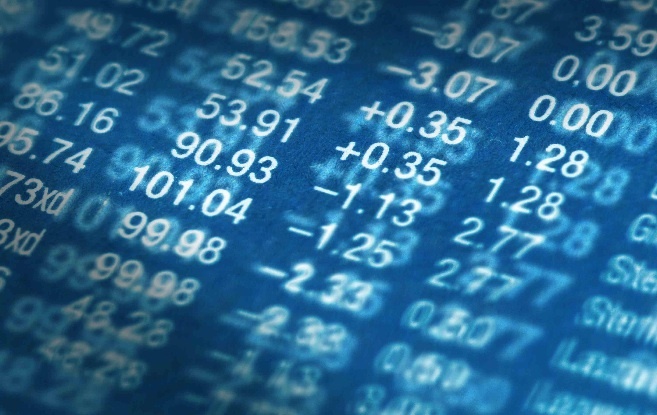 Although algorithmic trading has been up and running (and growing) for some time, some financial experts still have fundamental concerns about its impact on the financial sector and broader markets. Algorithmic programs aren’t intuitive like people and they don’t have a grasp of context. As a result, algorithmic trading cannot fully understand or judge what’s going on in the wider world and how this might impact markets. They just make judgments on numbers and pattens. A greater reliance on sophisticated technology and modeling in the financial sector brings with it a greater risk that systems failure can result in business interruption. This is a bad thing. Security is another a big issue, and with it, the possibility of a complete system breakdown leading to a market crash. Also, not good. Automated trading is also driving legitimate small to medium sized investors out of the market, because they can’t compete with the speed or cost at which trade takes place. This is bad for future market stability, or so I’ve heard. Like the Kiva system, algorithmic trading is barely visible in the real world, and it too has reduced the need for certain roles and skills in the financial sector, as jobs once done by human traders have been taken on by computers (although the IT sector is booming). In such a fast moving and changeable industry, where every millisecond counts, it seems that the speed of computer connections and algorithmic trading have taken priority over the quality of judgment and the risk of system failure – in the world of large investments at least. So, just like picking and packing, the future of world finance certainly seems to be automated. Because much of the UK’s modern robot workforce is hidden from view, James’ call to get to know them better seems to me to feel quite compelling. Unless we start to take more notice of the role that robots are playing in our society, we’re going to fall really short of designing a better future for ourselves, and them. I don’t know about you, but there are many things about robots that I quite like, and developments in this area often show huge potential. In the context of James’ talk for instance, I was super impressed by the achievement of robotic jockeys in enabling the continuation of this popular camel entertainment event, whilst ending the exploitation of children in the same activity. I also like the low prices and good level of service made possible by the Kiva robot – and let’s be honest, who doesn’t. What does concern me however, is the displacement of people and skills that these new robotic workforces can be seen to be driving. The question is, what will these people go on to do in the future? I’m also hugely concerned by the scale of algorithmic trading in the UK and elsewhere. Although this is in part because I know so little about it, I’m personally not convinced that our preoccupation with achieving super speeds in trade is helping us to build a more sustainable and stable financial future. The rise of automated trading after all, maps quite neatly against the curve of the recent crash! Though I certainly don’t blame the robots for this. Because so many hard working robots in the UK are out of sight, I think we are forgetting to ask ourselves some important questions about the shape of our future, including whether we’re comfortable with the way things are heading and if not, what we might prefer the future to look like. It seems to me, that what we really need to do is bring our robots out of the shadows so we can find out more about what they’re good at, and then just like in the past, put the needs of people to work, play, create, innovate and take part in society at the centre of our designs for the future. Regarding algorithmic trading, some systems are specifically designed to dupe other systems, as this iO9 article mentions. Also, algorithms control what we get to see on the internet, whether this be Google search results or your Facebook news feed, as Eli Pariser’s recent TED talk describes.